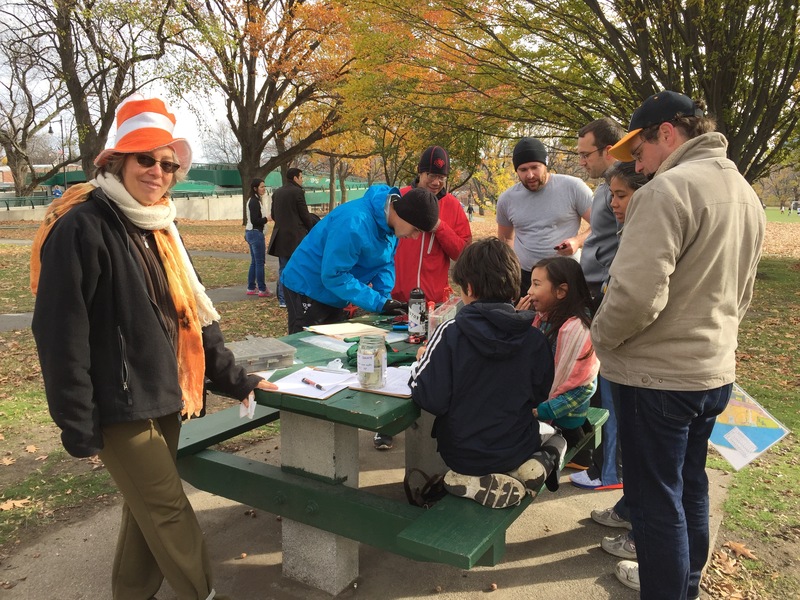 Barb Brandt brought orienteering to Magazine Beach this morning, including members of MIT’s CSAIL (Computer Science Artificial Intelligence Lab) and their robot participant ATRV-JR. Look for ATRV-JR at the park this fall as it “trains” to do the orienteering course on its own. Navigation Games returns to Magazine Beach Sunday, December 20th. To learn more about this FREE program, go to www.navigationgames.org. For other local orienteering events, see: www.neoc.org and www.csu.attackpoint.com.